A number of years ago I was assigned to investigate the vicious murder of Marjorie Ainsworth, the reigning grande dame of British mystery writers, whose latest novel, Gin & Daggers, had just been published to rave reviews—although there was some controversy over whether she had utilized the services of a ghostwriter. Ordinarily, such a case would have been left in the hands of the local constable, but because of Ms. Ainsworth’s fame, Scotland Yard felt that someone of higher rank was more appropriate. As a chief inspector I was handed the case and traveled to Ms. Ainsworth's imposing manor house in the town of Crumpsworth. Among the weekend guests at the house was another well-known writer of crime novels, Jessica Fletcher, an American visiting from Cabot Cove, in the state of Maine. I viewed Ms. Fletcher the way I viewed everyone else who had been in the house that weekend—as a suspect. Of course, I couldn’t come up with a motive why this American writer, a dear friend of the victim, would have wanted to thrust a dagger into Ms. Ainsworth’s body while she slept, nor could I assign a motive to any of the guests at that early stage of the investigation. I did some boning up on Jessica Fletcher’s career and came to learn that not only did she write best selling murder mysteries, she’d been involved in the solving of more than a few actual cases. Armed with that knowledge, I decided to enlist her help in bring Marjorie Ainsworth’s killer to justice, and invited her to join me for tea at Brown’s Hotel, in central London. While her observations of what had occurred at Ainsworth Manor were astute and useful, I simultaneously found myself personally attracted to this beautiful, intelligent woman. Once the Ainsworth case had been solved, Jessica prepared to return home to Cabot Cove, but not before we had agreed to find other opportunities to spend time together. It wouldn’t be easy; the Atlantic Ocean separated us. But occasions did arise. I was her guest one year for Thanksgiving in Cabot Cove (A Fatal Feast), and she once brought a contingent of friends to my family castle in Wick, Scotland (The Highland Fling Murders). There were other instances, too. While Jessica vacationed on the lovely island of Bermuda, a series of murders took place, and because Bermuda falls under British control I was dispatched to aid the local authorities (Trouble at High Tide). There was also an opportunity for me to travel to Washington, D.C. when Jessica was visiting there, and where the murder of a leading politician occurred (A Vote for Murder). And, of yes, she came to London when a friend launched a new airline linking the U.K. and the States (Coffee, Tea, or Murder). We'll be spending New Year's Eve with each other, but that's still in the future (Death of a Blue Blood). The problem is that every time we’re together a corpse shows up, which gets very much in the way of advancing any feelings we might have for each other. There’s no impediment to romance like a dead body. Too, her local sheriff, Morton Metzger, has gotten his dander up when he felt I intruded into one of his investigations. And I’m always aware that her dear friend, Seth Hazlitt, Cabot Cove’s beloved physician, scrutinizes me as a possible suitor for Jessica’s affections. Whether or not he views me as competition for her hand is conjecture on my part. I don’t know where our admiration for each other will lead. That vast ocean will always be there to keep us apart. And our respective professional lives get in the way of picking up and leaving our homes—Jessica’s success as a crime novelist, and my honored post with The Yard. But I have no doubt that should one of these tangibles change, neither of us would be adverse to taking our feelings to the next level, perhaps even--dare I hope--culminating at the altar. In the meantime, I fervently hope that the next time that I’m with this lovely lassie, murderers will find another time and place to ply their wicked deeds. Contrary to belief in some quarters, George Sutherland never appeared in the television series, "Murder, She Wrote." He is and was purely a print character. Nevertheless readers have suggested quite a few actors they'd like to see play Chief Inspector George Sutherland should Jessica Fletcher return to television. A few of them are pictured above. Who would you like to see play our romantic hero? 2014 marks 25 years of “Murder, She Wrote” in print. There are 40 books in the series with three more under contract. The books are bylined by Jessica Fletcher, a fictional character, and Donald Bain, a non-fictional character. “Murder, She Wrote” is published by Obsidian, a division of NAL/Penguin. Pierce Brosnan or George Clooney would be my choice. I loved the "Murder She Wrote" show! I wish the reruns were on more often. A great cozy mystery show. And we've got great cozy mystery novels. Hope you try one out. I like the idea of Pierce Brosnan. I plan on reading the Murder She, Wrote, The Queen's jewels, as my first book for 2014. Hmm,m, think both Connery & Caine too old for character so I'd say Brosnan or Clooney. My vote would be Clooney first. Universal is talking about new "Murder, She Wrote" stories but with Octavia Spencer, not Angela Lansbury. Should be interesting to see what they come up with. He's certainly a handsome fellow. You're welcome. And thanks for leaving your email address. If you win the drawing, we'll know where to reach you. Sean Connery . Thanks for having such a great giveaway. We love the big Scot, too. We think we picked great choices, but is there anyone we missed? Can't go wrong with Connery. 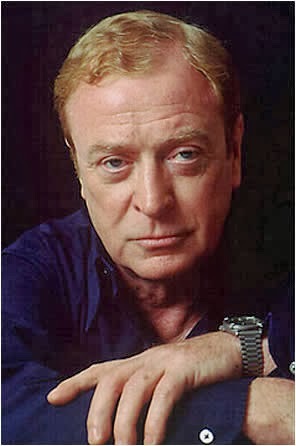 We don't see any votes for Michael Caine, but we like him anyway. I would love to see Pierce Brosnan as the romantic hero. My choice for Inspector Sutherland? Pierce Brosnan, of course. I love Jessica Fletcher! I became a fan of mysteries as a kid when somene came me my first Agatha Christie novel. When Murder She Wrote first appeared, I was delighted with what I consider the American Dame Christie. I was even more delighted when I discovered the books. Of course, when I read them, I hear Angela Landsbury's voice in my head. Ah, music to our ears. Thanks, Booklady. 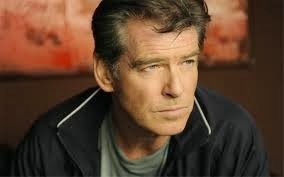 Pierce Brosnan gets my vote. Well, we hope you'll take a chance on the books, too. Although I adore Pierce Brosnan, I'd rather see Sean Connery in that role. Hmmm, these two seem to have the lead in the voting. It must be the James Bond influence. Ashton Kutcher to see if he can play anything besides a silly pretty boy. He has that perfected. We think he's a bit young for our Cabot Cove sleuth, don't you? LOL!! I agree with Barbara T!!! Ashton Kutcher has that something which makes him quite perfect!!! Ah, another James Bond man. Yes, George Sutherland has a bit of that charisma. George Clooney would get my vote. He's come pretty far from his "ER" days, hasn't he? Well now, that's definitely different! I'll take any of the above actors...but I think Sean Connery would suit the role best! You know, as much as I love Jessica Fletcher, and devoutly watched the TV series, I've never actually read one of "her" books! Ooh! Get thee to a bookstore or a library quick! That would make a great New Year's resolution. Happy reading, Grandma! Hope you enjoy them. Well, you don't have to decide, Susan. We're like you: We like them all. It's pretty close right now, but George still trails Connery and Brosnan. Michael Caine would be the right age if Angela Lansbury starred, I believe. I loved the tv show. I'm ready to read the books. Great, Nancy! We hope you like them. I would really love to see George Clooney as the romantic hero. With your vote, he just caught up to Pierce Brosnan. Wow, any would be great. Sean Connery would be great with his accent but I lean towards Pierce Brosnan, he's always been a favorite of mine. Ah, those Bond men are all attractive. I would say George Clooney. What a handsome guy! We agree, Connie. Nice, too. You're in the majority, Shauna. We had to look him up, Mary D. Handsome fellow! He and Brosnan are neck-and-neck in the voting today. But Connery still edges them out. Thanks for your comment, Kim. For the Inspector on TV or in the movies, definitely Sean Connery (especially if Angela Landsbury is still playing Jessica). Though how I picture him when I read the books is something more of a Connery-Clooney/Brosnan hybrid. The best of them all! You'd make a great diplomat, Laura. We'll have to let him know he's just tied Sean Connery. Aw, thanks so much, Karen. Haven't acted since college. Keep your comments coming folks. We'll draw the winner of a signed hardcover copy of TROUBLE AT HIGH TIDE tomorrow (Monday, December 30th) and announce it here. Good luck, all! What about Patrick Stewart of Star Trek fame? So suave and handsome! The man who always brings a smile to my face - Tom Selleck! Angela Lansbury and Tom Selleck did a cross promotion with "Murder, She Wrote" and "Magnum PI" if we remember correctly. They're old friends. It would like like I'm in the minority but I'd choose Harrison Ford or John Stamos. As for the James Bond actors, I always liked Sean Connery and Roger Moore in that role as the best James Bond. Harrison Ford with a British accent, Dianne? Not sure about that. Hugh Jackman would work for me. Works for us, too, Mary. Interesting, Collin. Don't think we ever described George Sutherland with a beard. Cynthia (above) agrees with you. Or even his father, Donald Sutherland, in his younger days. 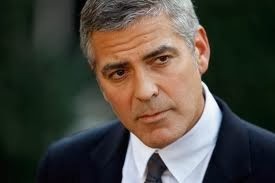 My heart throb, George Clooney. With your vote, Sue, Clooney edges ahead. Happy Birthday, Katherine. We're doing the drawing in 15 minutes. Good luck! Looks like we're edging toward a three-way tie with Connery, Brosnan, and Clooney. Sorry Michael Caine. You didn't make the cut. He certainly has that policeman vibe, Brooke. It would have to be Caine..he is more her type...and speech patterns and thought..AND..he would make her laugh, feel more at home..she would be comfortable with him. The others are wonderful too..but Sean is too old, Clooney and Bronson, too young..to "get" her. seth is just her very very best friend..there won't be romance there. Ah, a vote for Michael. We like him, too, SueAnn. Can you picture Jessica as a Bond Girl? George Clooney and Pierce Brosnan (though I love him and that voice...sigh) are too young for the part. I love Sean Connery, but for some reason, I've always pictured Michael Caine. No idea why because Sean Connery would fit the part being a Scot himself and I love to hear him talk. Connery has that great Scottish burr, but we'd bet Caine could do the accent, too. Bravo, Tim! We're with you. If we counted correctly, he's tied with Brosnan for the lead. You didn't list Tom Selleck so I'll have to choose between George Clooney and Pierce Brosnan. Can I choose all three? You're welcome, Janet. Good luck. We've got one more comment to reply to and then we'll draw a winner. Pierce Brosnan would be GREAT in the part! Love the Jessica Fletcher stories - TV and books! Thanks, Karen. Good luck in the drawing. CONGRATULATIONS, COLLIN OLSEN! You are the winner of a signed copy of "Trouble at High Tide" by Jessica Fletcher and Donald Bain!